The Varangian Guard was an elite unit of the Byzantine Army from the tenth to the fourteenth century, whose members served as personal bodyguards to the Byzantine Emperors. 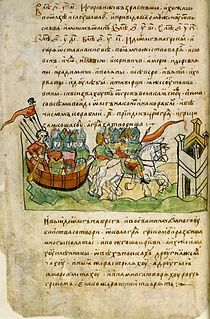 The Varangian Guard was known for being primarily composed of recruits from northern Europe, including Norsemen from Scandinavia and Anglo-Saxons from England. 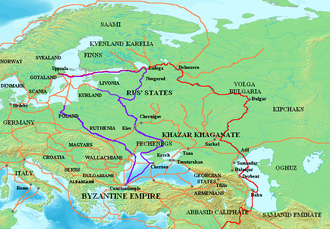 The recruitment of distant foreigners from outside Byzantium to serve as the emperor's personal guard was pursued as a deliberate policy, as they lacked local political loyalties and could be counted upon to suppress revolts by disloyal Byzantine factions.